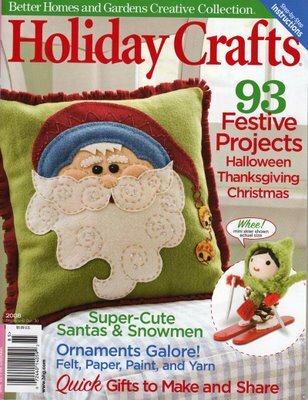 Be sure to check out Better Homes and Gardens Holiday Crafts magazine! Not only is it filled with tons of cute stuff to make for Halloween and Christmas from some amazing artists, it also features a project for a couple of my birdies! 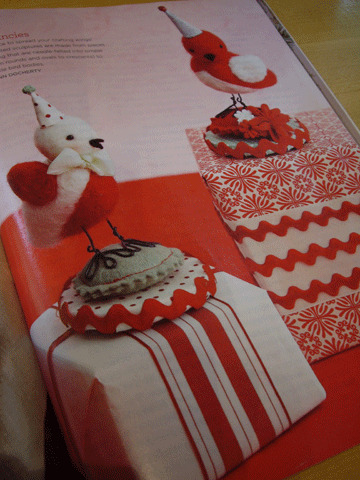 3 Responses to Holiday Crafts! Happy Autumn. Hope the pregnancy is going well for you. Grats on the magazine appearance. Can’t wait to see you guys this weekend. I wanna hug the lil one and rub the belly. Hi there. Do you know if there is anywhere to still purchase this magazine? Would you have an extra issue you would sell? Thanks for your time!